The federally funded Low-Income Home Energy Assistance Program helps households pay the cost of home energy. The program is not designed to pay for all heating costs. To participate, you must make an appointment with Catholic Charities between July and March of each year for a personal interview. It is important to make your appointment early, and keep your scheduled appointment in order for you to get help. All heating and cooling sources, including electricity, gas, oil, kerosene, wood, propane, natural gas, and coal are eligible. To see if your family income falls within the program guidelines, click here. You can now start your LIHEAP application online. To get started, click here. 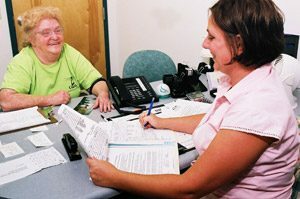 ASSIST is a website that allows individuals and community-based organizations access to screen and apply for a broad range of social service programs, including LIHEAP. You will still need to make an appointment to finish your application, but this website helps you start the process and gives you phone numbers, as well as a list of documents you will need at your application appointment. or contact your local State Service Center. To report cases of suspected waste, fraud and abuse, click here.